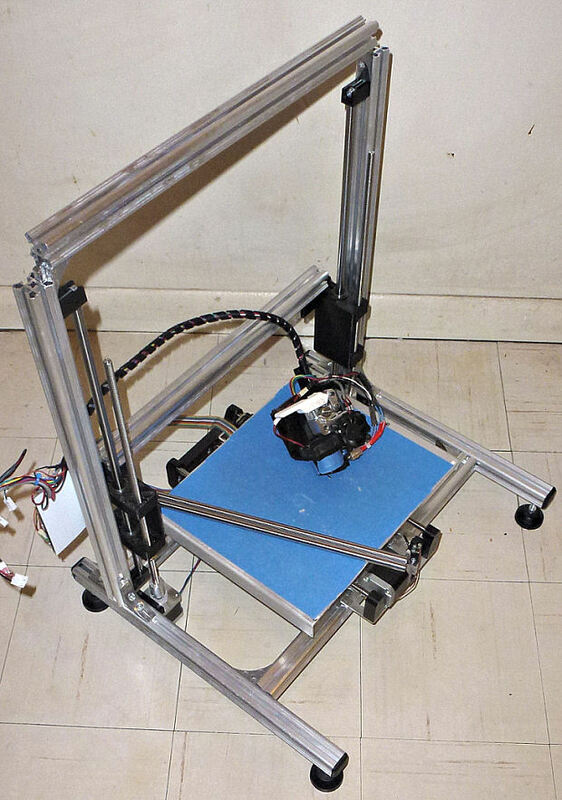 Printrbot Talk Forum • View topic - Rebuilding my big printer. I've started rebuilding my big printer, currently mulling over different ideas for how to do the Y rods. Thinking the final printing area will be X 200 mm, Y 250 mm, Z 300-320 mm. Re: Rebuilding my big printer. 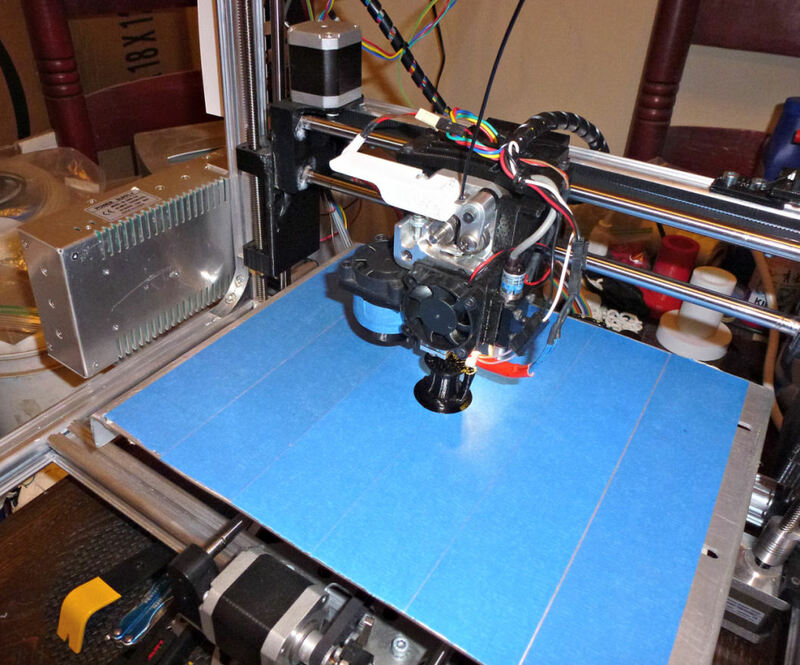 MartyS wrote: I've started rebuilding my big printer, currently mulling over different ideas for how to do the Y rods. I'm not sure the parts I made to hold the aluminum cross bar are good enough, but I think if I build the supports for the rods between the YZ blocks I can use them to get extra support, some screws between the rods pressing onto the YZ blocks should give extra stiffness. Maybe throw in some epoxy just to make it all rock solid. All these printer builds really do improve your CAD skills, one of the reasons I keep rebuilding with mostly the same parts. I really don't know if there would be a huge difference between the rods and rails to be honest. If you already have them at the right size then I see no reason to change. You can do a printed a piece to hold the crossbar on, something thicker that can hold it all together almost like an end cap. Shouldn't be too hard to design and might waste a bit of material, but it would look pretty good. I haven't been doing much printing lately but I finally got around to designing the last few pieces needed, so mechanically it's done, just have to do some more wiring and then calibration. Got everything wired up, and got the 2 steppers for Z properly wired up on the first try. Never wired 2 on parallel before, quite amazing how they try to synchronize even without any power. With those pricey Z threads I got the steps per mm are only about 400, I was playing around with different settings and it could move pretty fast, I toned it down a bit for normal use. Forgot I moved the Y motor where it is so I lost a bit in Z, so the print area ended up at X200, Y230, Z295. Finally got around to buying a better heat pad for this thing, got a SainSmart RepRap MK2B in today. I used the thermistor that came with my E3D V6 without doing any firmware changes, seems to be fine since I'm not going above 70, it reads room temp correct and seems to be within a few degrees of 70 when it stabilizes. 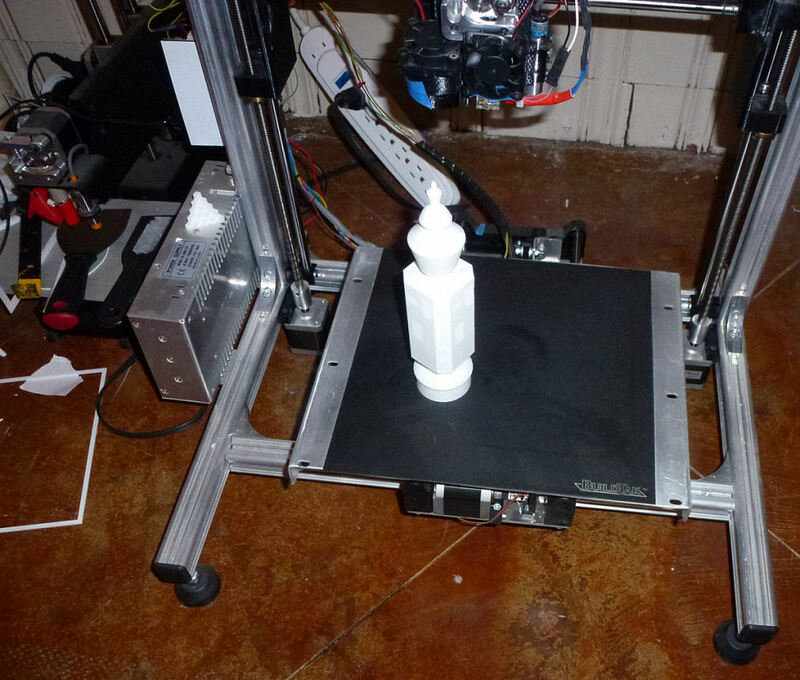 I just want some heat to prevent warping on large prints, so far after a few tests it seems to do the trick. 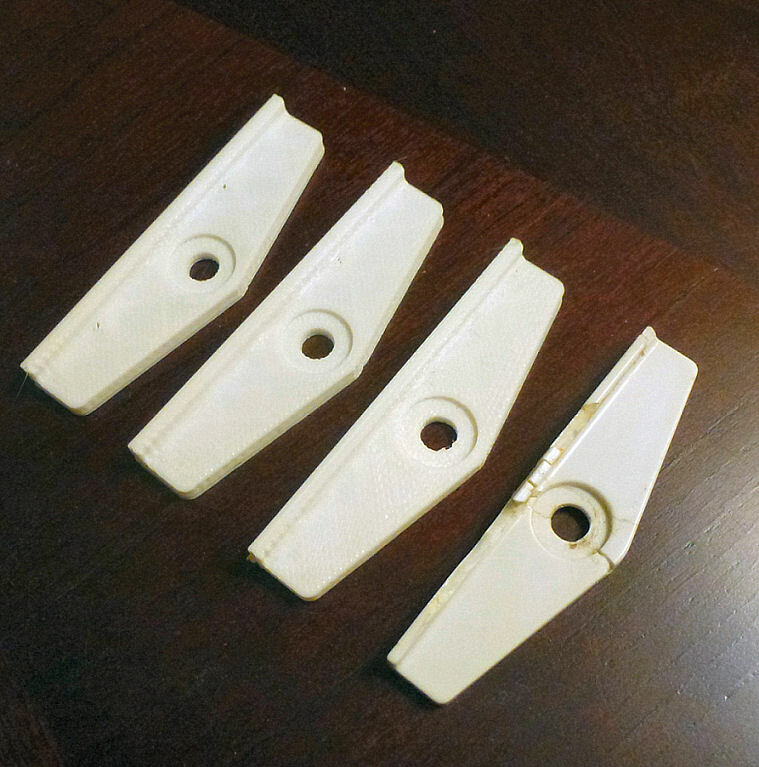 Since I moved last year I haven't done a lot of 3D printing, mostly practical stuff like replacing broken washing machine parts. The washer was starting to sound louder than a jet taking off so I spent a day replacing the bearings, some little spacers and stuff that were old cracked up plastic had to be replaced as well and I wasn't going to pay 5 bucks a pop for a few cents of plastic to keep the door from rattling. I did get around to a few improvements to my printer, now that I have more tools and a basement to work on stuff. Drilled and countersunk holes in my bed to attach my heat pad better, and put beefier wires to it. But the connector to the old printrboard was still the weak link and getting too warm, so removed it from the board and replaced it with a mini-deans connector (had a bunch left over from my RC helicopter days). Now no more heat on the connectors or wires going to the heat pad. The regulator on the board seems to be fine so I don't think I'll have to go to an external relay. Most recent change was getting some BuildTak, wow, what a difference, no longer have to squish the first layer at all and parts stick nice. Might switch to generic PEI sheet eventually but I was having trouble finding thin enough sheets of that so the Z probe would still work. The 3 pack of BuildTak should last me a very long time so I'll probably not get around to trying PEI.